If Carlo Ancelotti was looking for a response from his Chelsea side, he certainly got one Tuesday night, as the reigning champions of England soundly defeated Olympique Marseille 2-0 at Stamford Bridge. John Terry converted the first goal from a corner for Chelsea and Nicolas Anelka continued to add to his goal tally by scoring from the penalty spot after Stephane Mbia was whistled for handball in the box. Ancelotti decided to ring in a few changes, in both lineup and formation after his side’s defeat to Manchester City last Saturday. Anelka started up front alone with Didier Drogba serving the final match of his two-match suspension, while Ramires was withdrawn to the bench. In his place, Yuri Zhirkov got the nod, with Gael Kakuta also receiving a start on the right. Florent Malouda continued in his place, but was played more as a withdrawn striker, giving Zhirkov room to play on the left. The changes seemed to help from the start as Chelsea looked to have a much more attacking mentality in the face of Didier Deschamps efforts to frustrate the Blues in the same manner that City did just three days prior. Deschamps side nearly made a flying start to the match when in the 2nd minute, Terry failed to deal with a cross from the right, and the ball fell to Lucho Gonzalez. The Argentinian let fly with a shot that deflected off Loic Remy and luckily missed the target. With the first warning shot fired, Chelsea seemed to attack and defend with greater discipline and were given their first corner seven minutes into the match. 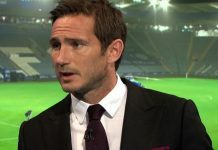 Gael Kakuta took the resulting corner and while it wasn’t clear whether he scuffed the cross or meant to drive it low, but Terry beat his marker to the ball and deflected the ball by the flapping Steve Mandanda to give Chelsea the lead. It was Terry’s first goal in the Champions League in two years and it calmed the nerves around Stamford Bridge. In-form Malouda nearly made it 2-0, six minutes later, after a dazzling run down the left hand side as he skinned two defenders, but couldn’t keep the shot down and it ballooned over the crossbar. Nicolas Anelka did make it 2-0 in the 27th minute as he stepped up to convert from the penalty spot. Michael Essien’s cross deflected off the arms of Mbia and the referee awarded the somewhat harsh penalty. Anelka made the penalty look easy as again he took a short run up and side footed the ball into the bottom right hand corner. Daniel Sturridge was introduced for Zhirkov later in the second half and nearly grabbed a third, but the youngster managed to turn an Ashley Cole cross wide of the post from just outside the six-yard box. This match was all about Chelsea with Deschamps, a former Chelsea player, saying that his side were simply “inferior” to their opponents on the night. A great confidence booster and one that is much needed before the big test against Arsenal at the weekend.